Mr. Kierans is a Senior Fellow, Massey College and was named to their governing body in May of 2016. He is a Distinguished Fellow of the Munk School of Global Affairs and Public Policy, a member of the College of Fellows of the Royal Canadian Geographic Society, Chairman Emeritus of Social Sciences and Humanities Research Council, a Fellow of the Institute of Corporate Directors and Executive Chairman Emeritus of the Canadian Institute for Advanced Research. Mr. Kierans has been awarded the Golden and Diamond Jubilee Medals and is an Officer of the Order of Canada. He has received an Honorary LL.D. from Royal Roads Military College and from MacMaster University, Queen’s University and Ryerson University. Mr. Kierans was Deputy Chair of the Lunenfeld Tanenbaum Research Institute at Mount Sinai Hospital, one of the world’s leading centres in biomedical research and a Director of Mount Sinai Hospital from 2004 to 2015. 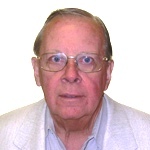 He served on the Selection Board Review Committees for the Canada Excellence Research Chairs Program and the Vanier and Banting Canada Graduate Scholarship Programs, He served on the Boards of Environics Instititue and the Literary Review Canada until 2017. He was a member of and the Canadian Curatorial Committee of the Art Gallery of Ontario until 2016. He served an unprecedented three terms as Chair of Council and Vice President of the Social Sciences and Humanities Research Council, was a Director of the Canadian International Council Chairman of The Canadian Journalism Foundation, Chairman of CSI-Global Education Inc., Chairman of the Canadian Institute for Advanced Research, Chairman of the Board of the Toronto International Leadership Centre for Financial Sector Supervisors, Chairman of Moore Corporation Limited, Chairman of Petro-Canada, Director of Manulife Financial among many other corporate directorships. Between 1979 and 1989, he was President and Chief Executive Officer of the C.D. Howe Institute and President of McLeod Young Weir Limited (later ScotiaMcLeod Inc.).